Won’t You Take Me To SteamFunky Town? Now why would I choose to feature a blog about “Steamfunk“ you may ask as you scratch your head with the proverbial quizzical look? Because I’ve been bitten by the bug. Steampunk appeared to be the most exclusive of them all, until I got a taste of The Funk! And I like it – I think you will too. Here’s a smidge of a blog by Balogun Ojetade that you can read in it’s entirety [here]. 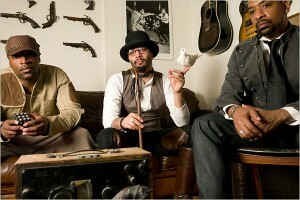 seeks to bring together elements of blaxploitation films and merge it with that of Steampunk fiction”. A broader definition is “a philosophy or style of writing that combines the African and / or African American culture and approach to life with that of the steampunk philosophy and / or steampunk fiction”. Let us examine Steamfunk and how a movement within a movement was born. Emergence: Steamfunk was born when several authors of African descent who took a liking to – or, in the cases of a few, even loved – the literary and aesthetic aspects of Steampunk, noticed that there was a deficit of stories by and about Black heroes and she-roes in the movement and – as individuals – they decided they would write Steampunk stories from a Black perspective. 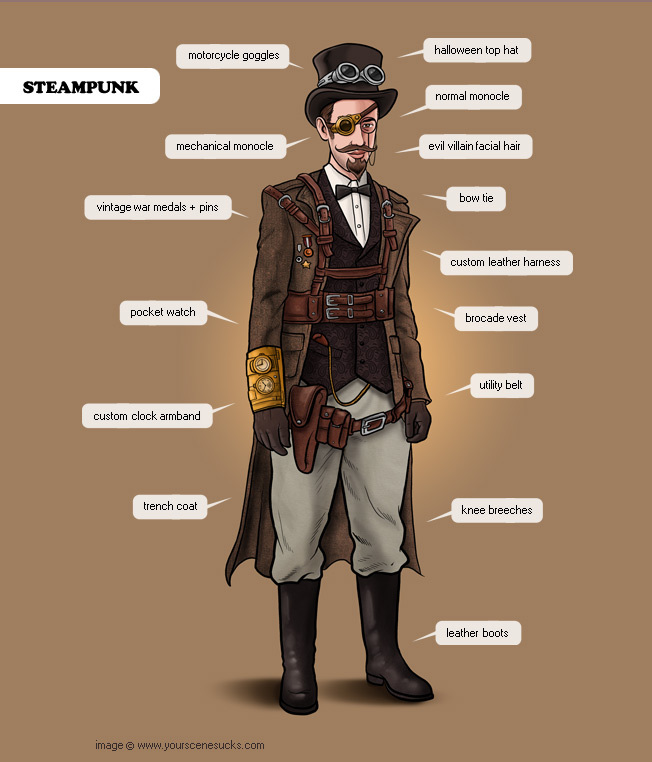 Some were also dissatisfied that most Steampunk ignored the “darker” aspects of the Victorian Era, such as colonialism, sexism, classism, racism – and chattel slavery and wanted to write about those aspects in their expressions of Steampunk. Some of those authors include Maurice Broaddus (Pimp My Airship), Milton Davis (The Delivery), Valjeanne Jeffers (The Switch), and Balogun Ojetade (Moses: The Chronicles of Harriet Tubman). Coalescence: On the website, www.blacksciencefictionsociety.com, a discussion of Steampunk came up and the aforementioned authors agreed that we should put together an anthology. Author and publisher Milton Davis, who had published the definitive Sword & Soul anthology, Griots: A Sword & Soul Anthology, decided to bring thought into action and put out the call for submissions to the Steamfunk Anthology. Author and Steampunk, Balogun Ojetade (yours truly) was brought in to work with Milton Davis as co-editor and the campaign of raising the awareness of the Black expression of Steampunk, which we call Steamfunk, began. Bureaucratization: The formal organization of the Steamfunk Movement began when – inspired by Milton Davis, organizer of the Atlanta-based Black Speculative Fiction Café – Balogun Ojetade put together a panel on Black Speculative Fiction, with the idea of it leading to an organization that educated people on the richness of work in Black fantasy and science fiction and provided access to said works. For more on this panel discussion, please read: http://chroniclesofharriet.wordpress.com/2012/02/12/state-of-black-sci-fi-2012-my-favorite-black-sci-fi-event-is-happily-natural-days-black-speculative-fiction-panel/ and to view the video recording of the panel discussion in its entirety, please visit: http://chroniclesofharriet.wordpress.com/2012/01/19/black-speculative-fiction/. One of the panelists, Alicia McCalla – librarian and author of the incredible teen dystopian novel, Breaking Free – reached out to other authors and artists of Black speculative work to participate in the State of Black Science Fiction 2012 blog tour. This blog tour led to the formation of a formal organization – State of Black Science Fiction – based in Atlanta, GA, the hub of Black speculative fiction. Steamfunk, Sword and Soul, teen dystopian and young adult fantasy have grown to be the major foci of the group, which educates youth and adults on the history, need for – and benefits of – Black writers and readers in these genres. Decline: Ain’t gonna happen. Why not? Because it is Steampunk, after all. This entry was posted in Some Thoughts and tagged Gene Roddenberry, Sci-fi, Steamfunk, Steampunk, Urban Fantasy. Bookmark the permalink. Well now, you know I’m more into Steamy Funk than SteamFunk, but the basic appeal of moving people of African Descent into, across and through the genres is there for me. So you go on and get Steamfunky with it, and my clan of melanin-rich Japanese friends (i think that was for me, right) and their rich Kongo ancestry will cheer you on–Teeth and Fang bared!!! Heh heh, “Steamy Funk”. Ah, how I love the imagination of those who choose to imaginate. Always a pleasure, La Fang. Always.